Japanese stiltgrass (Microstegium vimineum) is a summer annual grass common in the area woodlands, greenways, and shady lawns and landscapes. Its wiry stems can root at the nodes and climb over other vegetation forming dense, straw-like mats. 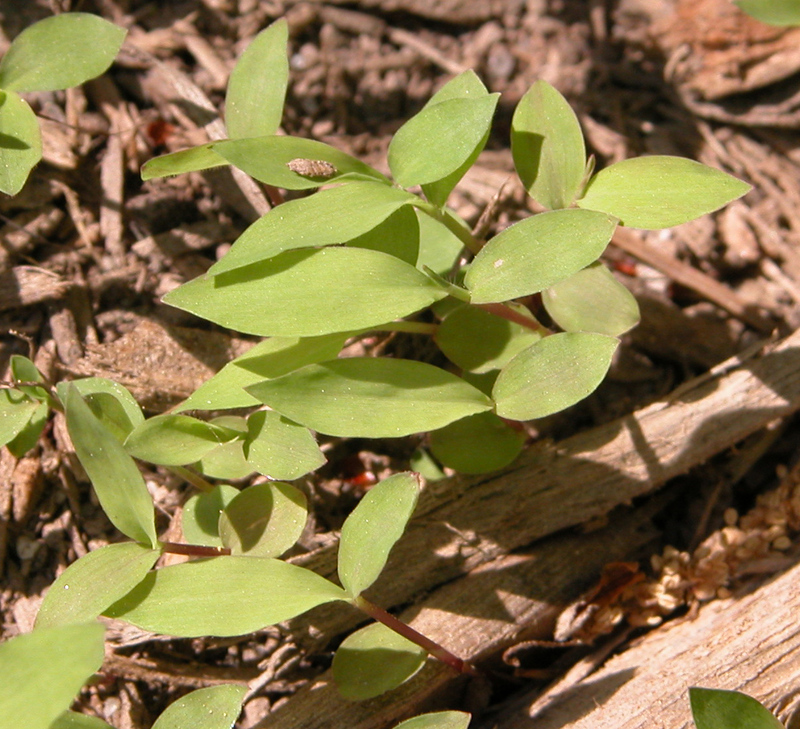 Seedlings emerge in very early spring, and are somewhat slow-growing at first, but by mid-summer growth rates increase dramatically and plants can reach over 3-feet in height. Plants flower in early fall. Control strategies should focus on preventing seed formation. Control methods include hand weeding before seedheads are visible; preemergence herbicides in late winter, postemergence herbicides in early to mid-summer, flame weeding, or close mowing in late summer. For more information see Hort Information Leaflet 905.